This hostile and controversial statement was leveraged by Luigi Di Maio, Italy’s populist deputy Prime Minister, in a counterproductive attempt to deflect shared responsibility for Europe’s migrant crisis. However the currency in question should be a part of the larger discussion on globalization and post-colonial institutions. If European leaders were to earnestly evaluate the CFA franc not from their perspective but from the perspective of the affected Africans, they may find some unsettling similarities to the eurozone. The CFA franc represents two distinct multinational currencies in Western and Central Africa. The currencies are effectively the same, as both have an exchange rate pegged to the euro (1 euro = 655, 957 francs), however they are not interchangeable. The logic behind the fixed exchange rate is to prevent inflation and promote investor security in nations where poor governance may otherwise threaten market stability. However, this comes at a very steep price for the nations involved. In return, they must keep 50% of their reserves in the French Treasury, follow the strict monetary policy of the European Central Bank (ECB), and attempt to develop their economies with an inevitably overvalued currency. In the current economic landscape, African nations should seriously consider if the sacrifice of sovereignty necessitated by the franc is worth the supposed increase in prosperity. The crux of the problem is that the CFA franc is essentially a version of the euro, and relatively weak economies using a strong currency is counterproductive to economic development. The strength of the franc encourages imports and makes exports less competitive on the global market, stagnating the development of member nations. Additionally, the main priority of the ECB is to maintain stable prices, with inflation at a maximum of 2%. This policy makes sense for the top members of the European Union (EU), but a developing nation should be focused on high employment rates and exports, ideally with inflation rates of up to 8%. Moreover, the 50% reserve requirement of the franc zone countries greatly limits their investment options. The French treasury gives them a return rate of only .75%, which sometimes does not even match the level of inflation, much less provide a desperately needed return on investment. The franc becomes even less attractive when considering the performance of other African economies. Former French colonies that abandoned the franc, such as Morocco and Algeria, are more successful economically, despite using an independent currency. Overall income per capita, adjusted for inflation, has grown 1.4% in the franc zone and 2.5% in the remainder of Sub-Saharan Africa. In addition, the line of credit extended to the franc zone is pitiful. In the western franc zone (see map) the credit to GDP ratio is 25% and in the central franc zone it is only 13%! This is in comparison with the remainder of Sub-Saharan Africa around 60%. So why keep the CFA franc? The franc is known to benefit a small percentage of upper and middle class African citizens by providing easy access to imports and the ability to invest abroad, while by and large disadvantaging the 75% of the citizenry who are working class. To exacerbate things further, France and other foreign interests greatly benefit from the franc zone as an export market, and France is granted special access to African resources as a part of the agreement. Furthermore, the franc’s status as a multinational currency provides greater benefit to outside nations wanting to facilitate trade, than the internal member states. The franc is after all very poorly integrated, with intra-regional trade accounting for only 15% of total trade, while trade with Europe accounts for 60%. The French, along with the remainder of the eurozone, clearly profit off of the CFA franc. Many African economists and politicians acknowledge these flaws, yet the question of how to move forward still remains. The French have responded to the protestations of their former colonies by supporting the creation of a new multinational African currency independent of the euro, that will incorporate more– and larger–African states, including but not limited to Nigeria. However, this still appears self-serving. There is minimal justification for the existence of a new multinational currency in Sub-Saharan Africa, and as aforementioned, it primarily benefits outsiders. 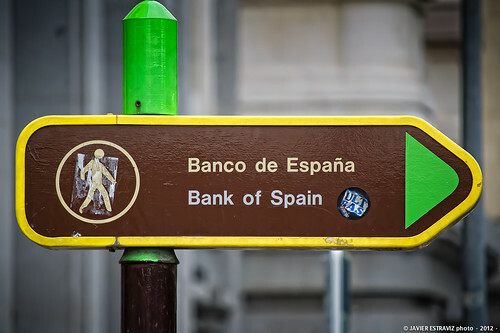 The best interest of the franc zone may be to follow the advice of former World bank director Carlos Lopes. He believes the CFA franc should be tied to a basket of other currencies, including the notoriously undervalued Chinese yuan, or to hover around a target exchange rate with the euro, both which will help to mitigate the overvaluation of the franc, while maintaining the currency as a pillar of stability. The tragic irony is that France, along with a number of Southern European states, are the victim of the euro in much the same way that the CFA franc is. The euro is too strong for the economies of Southern Europe. Estimates peg overvaluation at 5% in France and 7% in Greece. Furthermore, the emphasis on low inflation within the eurozone is really to the benefit of the booming German bloc, at the expense of countries such as Italy and Greece that desperately need stimulus spending. In terms of real GDP, Italy was the same size in 2016 as it was in 2001. Much like the franc zone, Italy, among other countries, needs to focus on improving employment rates, infrastructure projects, and competitive exports, to ensure growth in coming years. When comparing eurozone countries to those that chose not to adopt the currency, such as Sweden and Hungary, the results are disappointing at best. National Gross Income (NGI) per capita in the eurozone grew at a rate of 1.65% in 2015, whereas Sweden saw growth rates around 2.72%. Additionally, Hungary, an emerging European economy, witnessed even higher growth rates, with NGI per capita reaching 3.06% in 2015. The success of independent Eastern European economies makes evident the disadvantage Southern Europe suffers being a part of the euro. Furthermore, when examining the eurozone within the global context, it is evident that as a whole they have fallen behind other developed countries. The US economy was just 13% bigger than the eurozone at it’s genesis, but now it is over 27% larger. So why keep the euro? This question is obviously more nuanced in light of the highly integrated European economy and greater cultural and political ties of the EU, than are present in the franc zone. Brexit, despite not having a monetary element, should be evidence enough that disintegration is not a feasible option for Europe at this point. However, the shortcomings of the euro must still be recognized. The euro, rather than being of overt benefit to a neocolonial power as the franc is, does disproportionately benefit Germany. The significant undervaluation of the euro in Germany (about 17%) makes its exports extremely competitive and creates greater economic prosperity. Unfortunately, this leads to a vicious cycle where Germany becomes more and more prosperous and the ECB creates tighter monetary policies to adjust for German strength (ie higher interest rates), all while neglecting the needs of the weaker economies in the eurozone. For the benefit of not only the European project, but the 147 million people who use the CFA franc, the Germans should ease their tyrannical monetary policy and cozy relationship with the ECB. Realistically however, the prospects of Germany doing this are unfavorable, and as a result the euro’s most likely fate seems to be an eventual phase out. The currency once intended to unite Europe, has since contributed to the very economic stagnation and rise of isolationism that will eventually be its demise. But perhaps this is to be expected when inflicting stringent monetary policy on nations with diverse economic needs and dissonant fiscal policies. It may be time to reconsider multinational currencies as a whole.